One of the reasons I love being a librarian is that I learn something new almost every day. 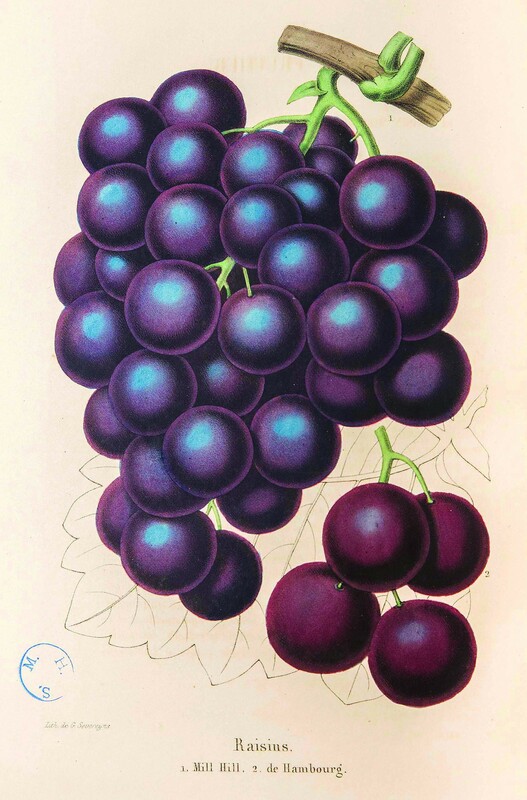 When a book catalog featuring Illustrated Historical Universal Ampelography: Grape Varieties from Around the World (published in 2012) landed on my desk, I went for a dictionary. I was completely taken with my new word of the day—“ampelography”—and its definition. My thoughts raced to placing this subject on my list for future rare book exhibitions. The field of horticulture is full of very specific words meaning very precise things. 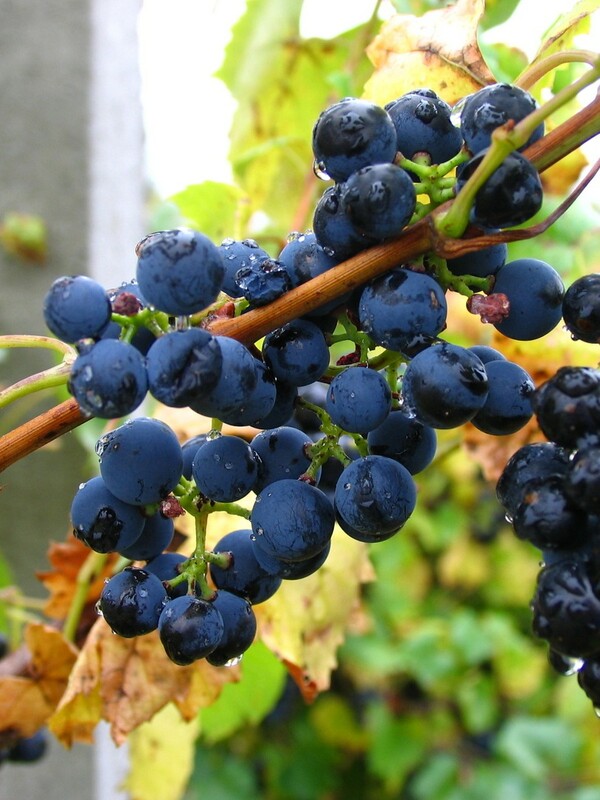 Viticulture is the study of grapes and their production, and in this case, ampelography is the study of grapevines—not wine, but the vines and their grape varieties. Ampelography: I Heard It Through the Grapevine is on view now through November 8, 2015, in the Lenhardt Library. My family visited California in August, and a visit to wine country was on my itinerary. I wanted to see grapes on their vines, not only in tasting rooms with delicious samples. It turns out that some of the history of California and United States vineyards can be traced through volumes in the Lenhardt Library’s Rare Book Collection. The first book on winemaking in America, by John Adlum (1759–1836), was published in 1823. A Memoir on the Cultivation of the Vine in America, and the Best Mode of Making Wine emphasized the use of American rather than European grapes. Adlum cultivated Catawba grapes in the Washington, D.C., area. Native to the United States, Catawba grapes grew in a region that stretched from North Carolina to Maryland region. Agoston Haraszthy (1812–69) established the Buena Vista Winery in Sonoma, California, in 1857. It was the first commercial winery established in California. Haraszthy brought European viticulture methods with him from his native Hungary and established California viticulture. In 1862 he published Grape Culture, Wines, and Wine-Making: With Notes upon Agriculture and Horticulture as well as other essays on grape growing for the California State Agricultural Society (of which he was president in 1862). Ed Valauskas, curator of rare books, will present a free library talk about the exhibition on Sunday, September 27, at 2 p.m.
La Laurencie, comte de. Pratique de Plantation et Greffage des Vignes Américaines (Planting and Grafting Practices of American Vines) Paris: Librairie Agricole de la Maison Rustique, 1895. Millardet, Pierre-Marie-Alexis (1838–1902). Histoire des Principales Variétš et Espèces de Vignes d’Origine Américaine qui Resistent au Phylloxera (History of the Major Varieties and Species of Original American Vines Resistant to Phylloxera) Paris: G. Masson, 1885. When opening a bottle of wine, connoisseurs and novices alike may evaluate the color, aroma, and taste. The vintner (winemaker) sees to the harvest, juicing, fermentation, storage, and bottling. Behind each bottle, however, the viticulturist considers many parameters from the soil, climate, fertilizer, disease and pest control, rootstock, vines, and varieties. It is all of these factors—and people—working together that determine the final product. There is so much to appreciate with each sip!